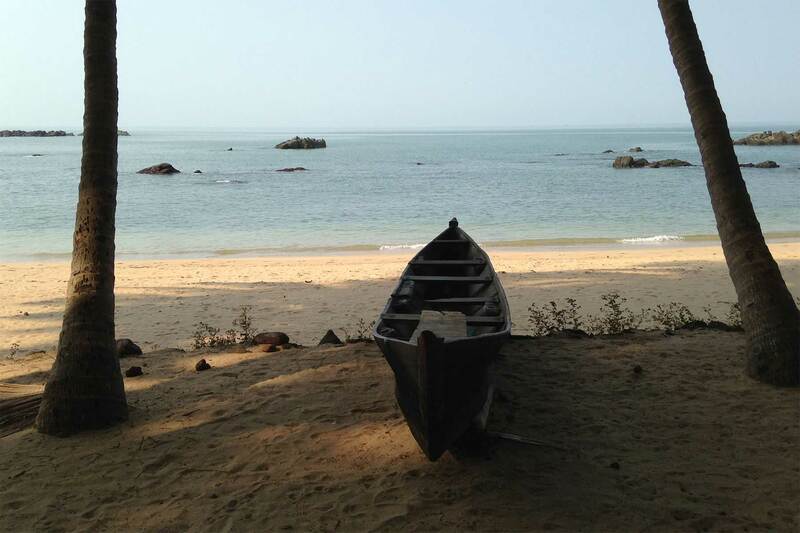 Come and explore one of Goa's most secluded beaches. We are open from 1st of November to end of April. 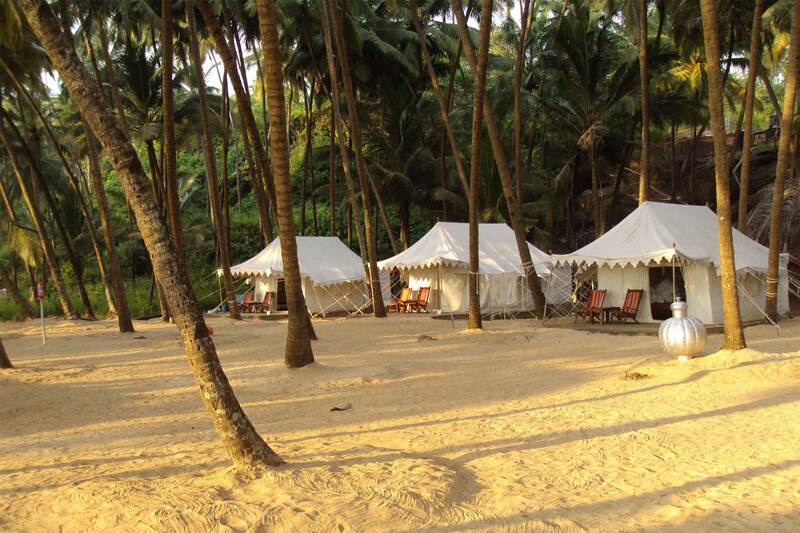 With a back drop of terraced coconut groves and rice fields, Cola Beach Resort is a perfect beach front boutique resort, located on a spectacular uninhabited beach and private bay in south Goa. 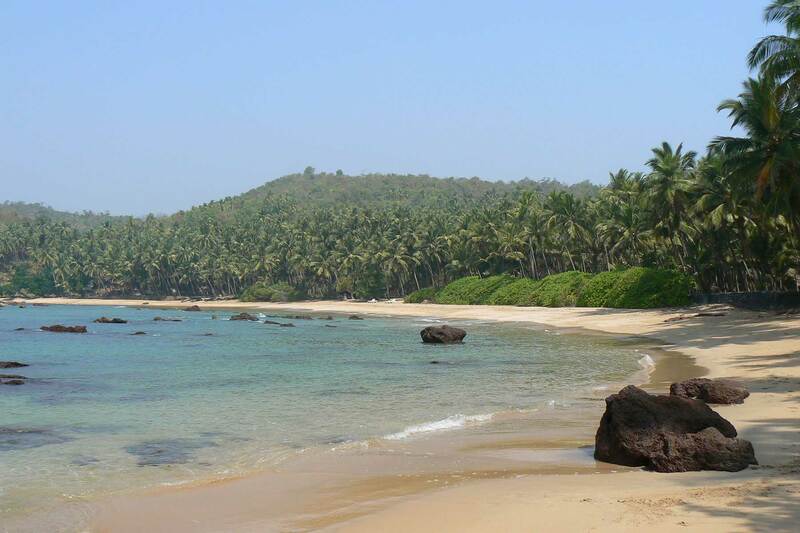 It remains one of the only unspoiled coastal areas in Goa, affording you a holiday completely in touch with nature. 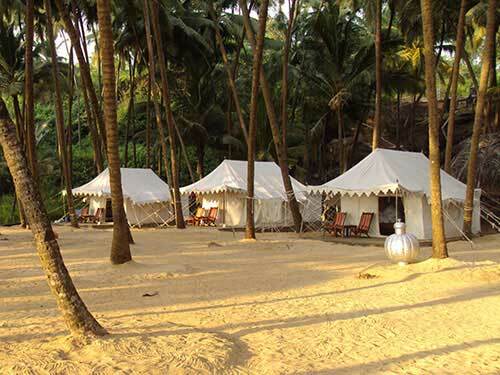 Cola Beach Resort is on a completely secluded and unspoiled beach, offering accommodation in 7 traditional Rajasthani Tents and 3 Wooden Cottages, set on the edge of the Arabian Sea. Escape from the hustle and bustle of city life and crowded beaches elsewhere. Cola Beach Resort gives you a taste of rustic luxury living. “ Loved it! Such a beautiful place, clean and tidy beach, good entertainment, friendly staff vegy and meat option both cooked by locals. It was so relaxing such a secluded place. Would definitely recommend to anyone. “ Paradise. At our first sight of the beach and coastline we fell in love with it. We had accommodation in one of the tents just by the shoreline, and it was actually better than our hotel accommodation in many ways. Clean, cosy, and comfortable beds. Choose our comfortable, traditional Rajasthani tents, with patios overlooking the sea. Each tent includes an en-suite bathroom and a western style toilet. Choose our new Wooden Cottages, with private balconies facing the sea. 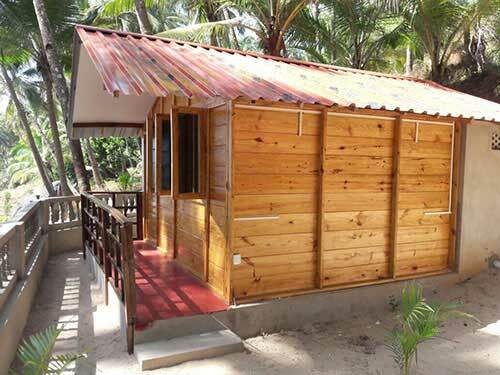 Each cottage includes an en-suite bathroom and a western style toilet.